This is a private luxury tour with only you your guide and a driver. There will be transportation from the airport to your hotel. If you would like to change something, add or subtract more days, please contact us. There is also an option to extend 5 more days and do a 5 star cruise on the Nile in Egypt, and depart from Cairo. When arriving at the Ben Gurion airport, you will be met and taken to your hotel in Tel Aviv. Have a good rest. After breakfast drive North to Katzrin, with a view of Megiddo. Tour the ancient village. 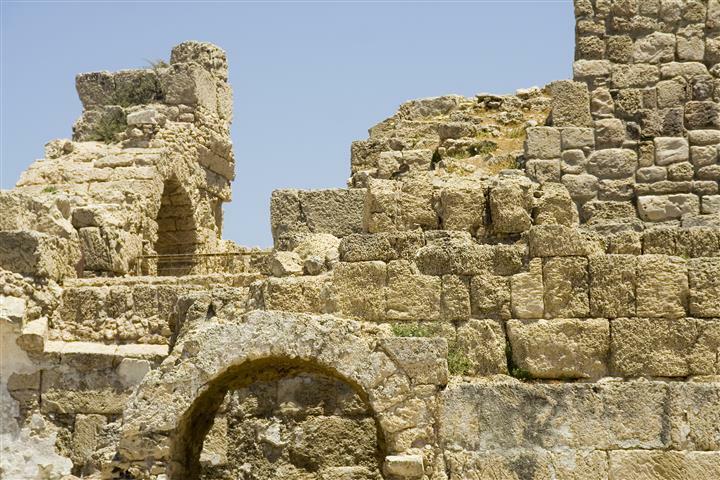 Drive to Mount Bental and see the Syrian fortifications. Overnight in Tel Aviv. 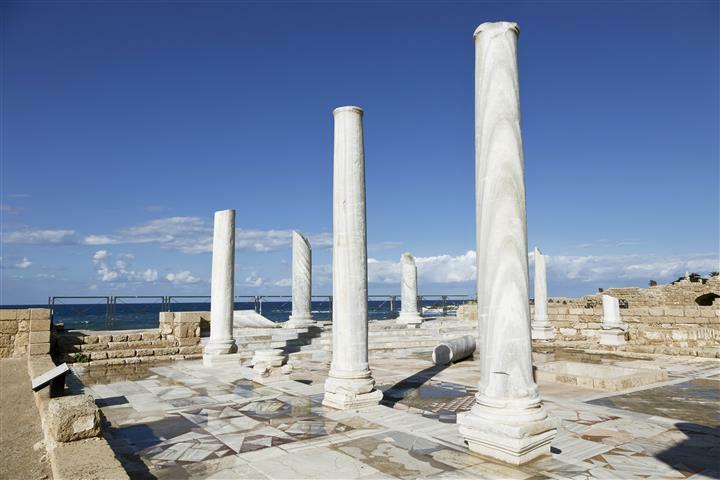 Drive to Caesarea, tour the Roman Theater and the ruins. 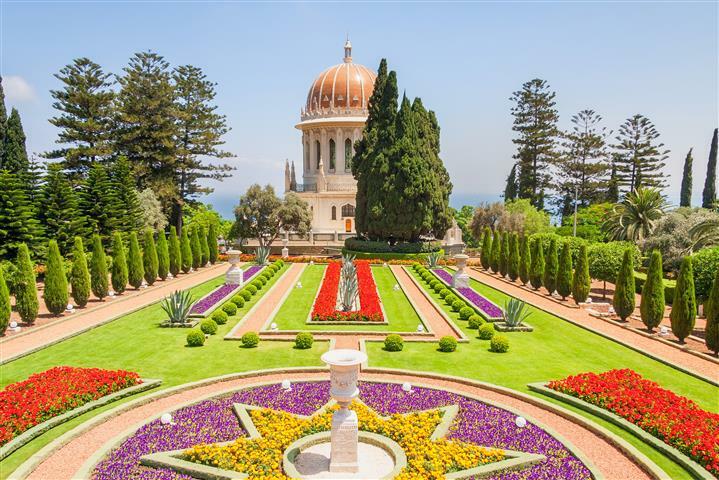 Stop in Haifa to tour the Baha’i Gardens and Shrine. 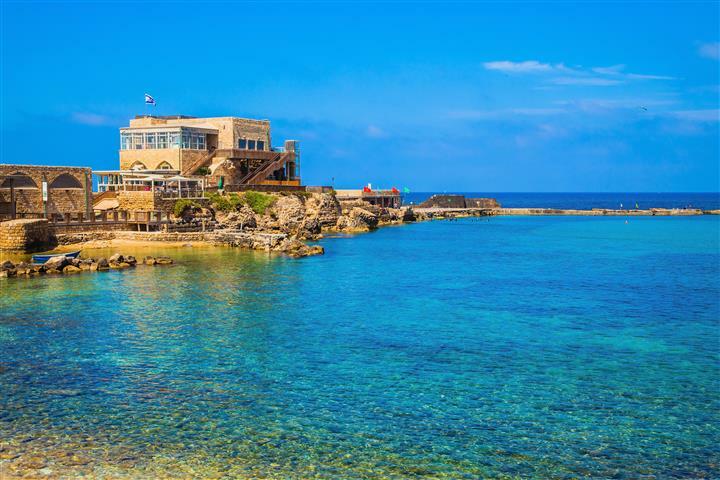 Continue on to arrive in Rosh Hanikra and tour the grottos. 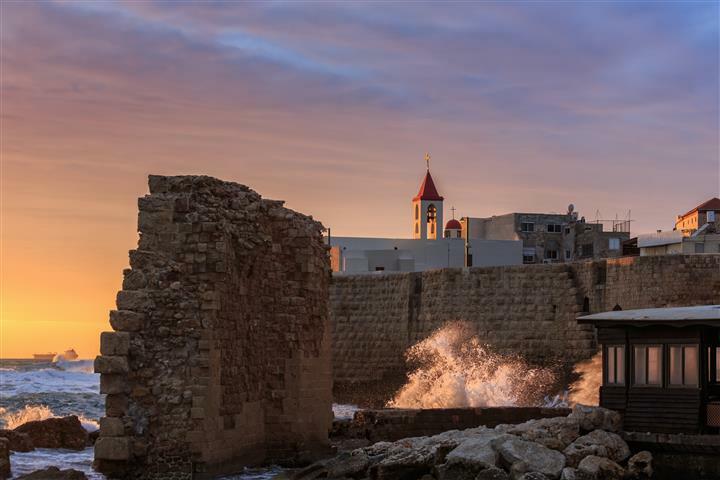 Arrive in Acre and tour the Crusader castle, and walk through the market. Overnight inTel Aviv. Today we will tour Nazareth, stop at the Mount of Precipitation. In Nazareth tour the Church of Annunciation, and the Church of St. Joseph. Overnight in Jerusalem. After breakfast tour Jerusalem. 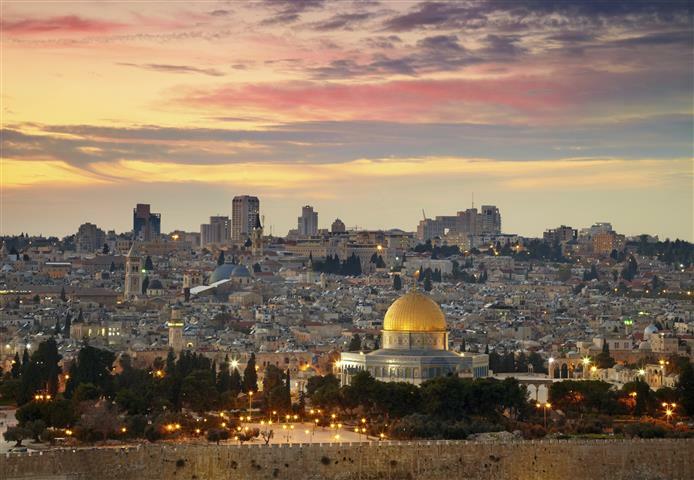 Start the tour in the Old City, walk through the Jewish Quarter to the Western Wall. 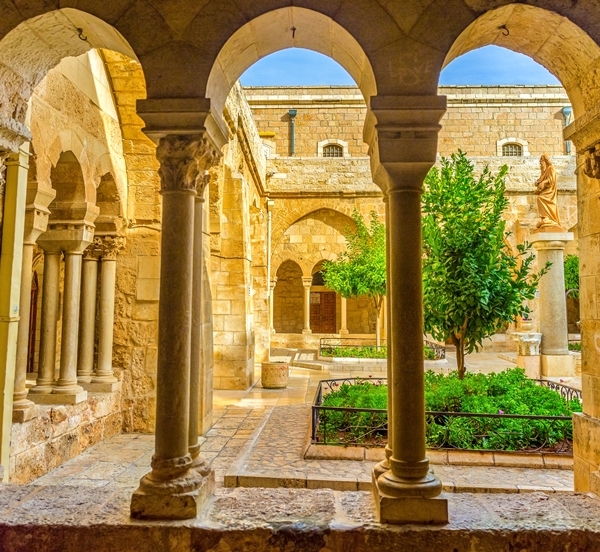 Follow the Via Dolorosa, and the Stations of the Cross to arrive at the Church of the Holy Sepulchre. Enter the Yad Vashem Holocaust Museum. Overnight in Jerusalem. Drive through the desert to Jericho, the oldest city in the world. See Mt. Temptation and the tree that Zachaeus climbed. 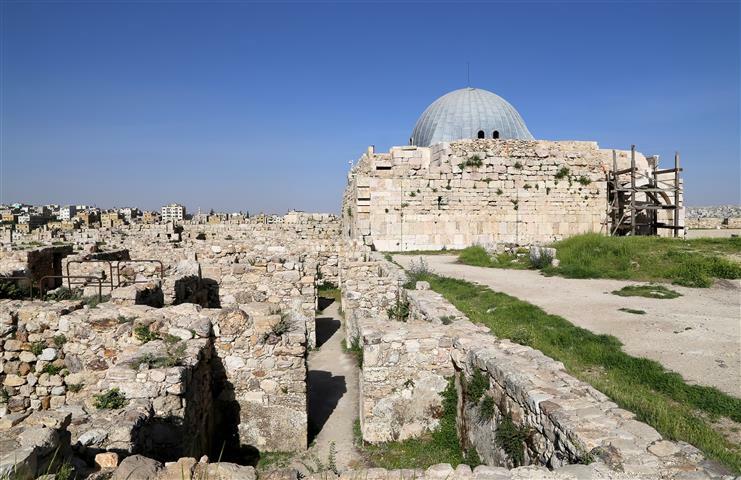 Tour the excavations and the synagogue. 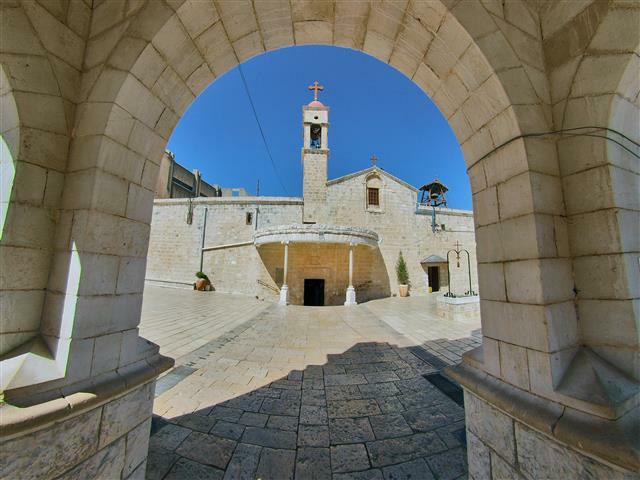 Drive to Bethlehem and walk across Manger Square to arrive at the Church of Nativity, and the Church of St. Catherine. 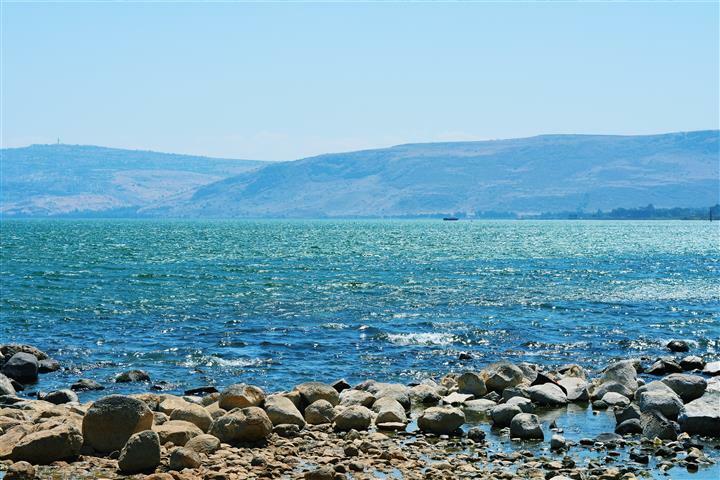 Overnight Jerusalem..
Travel South to the Dead Sea, and arrive at Masada. Take a cable car to the top. 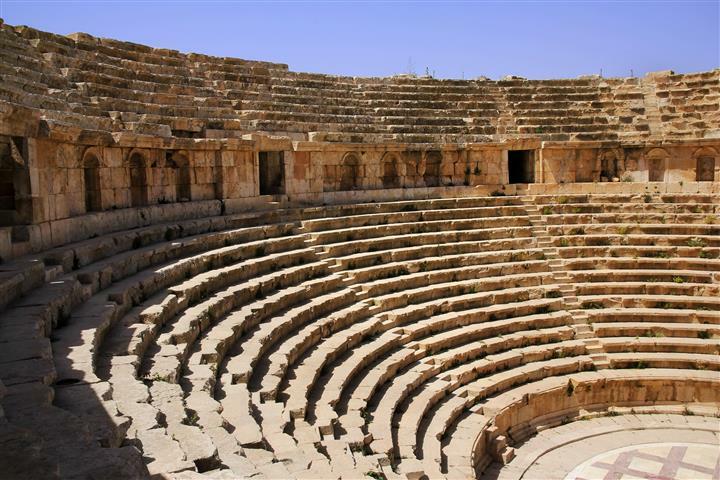 Tour the synagogue, palaces, bath house, Roman barracks, and more. 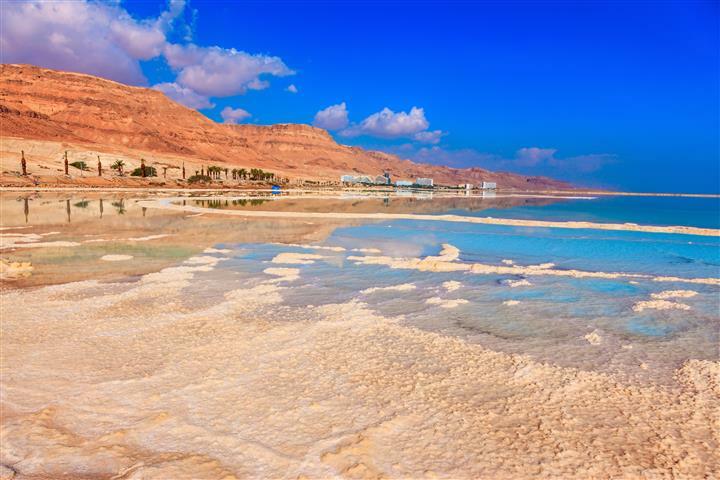 Drive to the Dead Sea and enjoy a swim and a mud bath. On the way back stop at the Qumran caves, where the Dead Sea Scrolls were found. Drive to Eilat for overnight. A driver will pick you up in the morning from your hotel and drive you to the Arava border, and help you with the border proceedings. Start the drive to Petra, with a short stop at Wadi Rum on the way. 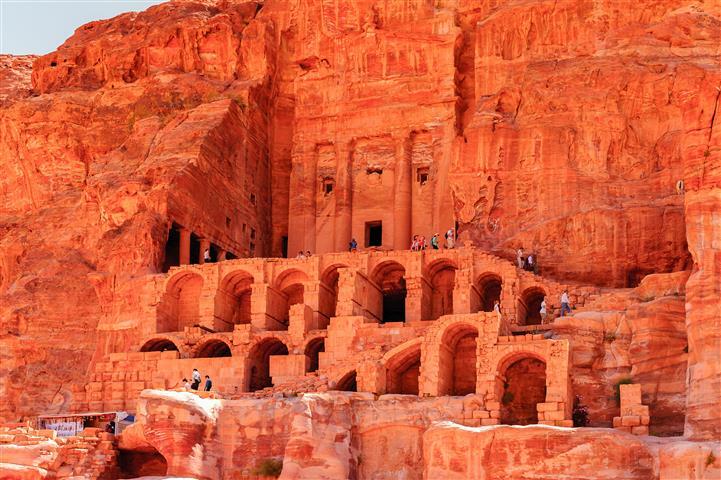 Tour Petra to see the famous Treasury, more facades, the Roman theater, the temples, and more. In the evening tour Petra by night. 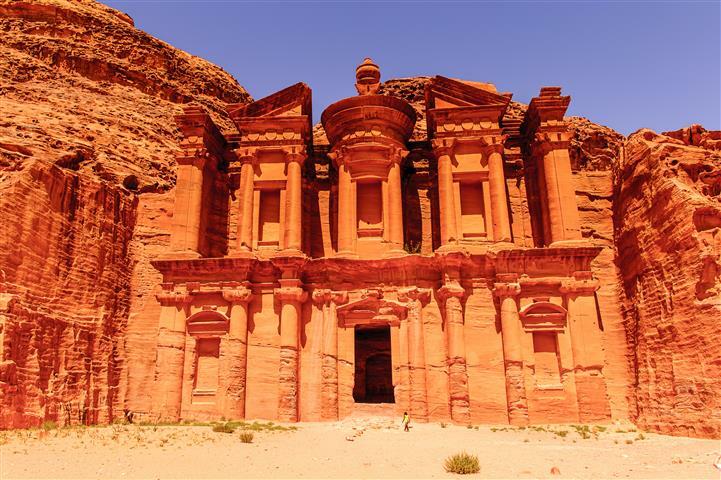 Overnight in Petra. Single supplement for a 3rd person sharing a triple room $100 per night. Single supplement for a single traveler will be $3000.